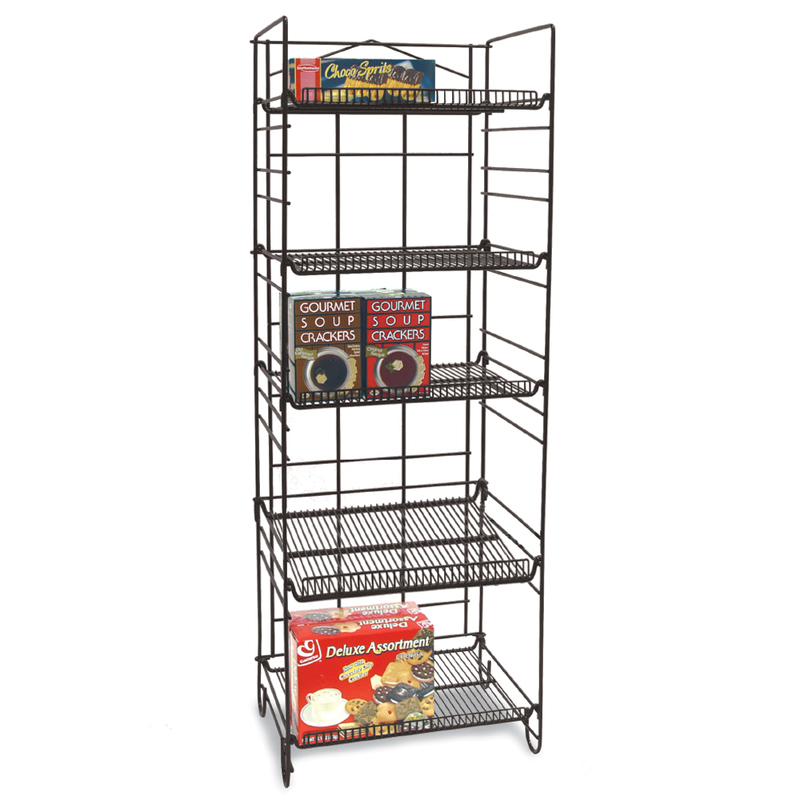 Straight or angled view shelving space for bread, bake goods and more. 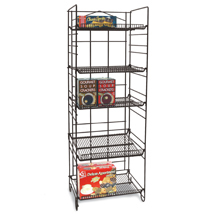 The 5 Shelf Adjustable Shelving Rack can hold a variety of merchandise. The Adjustable Shelf Rack can be folded and put away when not in use.The Shelves have a lip on every shelf to keep product on the shelf.